Warriors know how to relax and enjoy too. Situated in the historic and busy streets of EDSA and inside the general headquarters of the Armed Forces of the Philippines, a relaxation haven can be found. 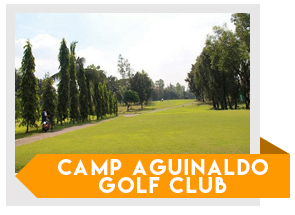 The Camp Aguinaldo Golf Club. The golf club is situated in the middle of the city, which makes the course relatively flat and tight. Despite the characteristics of the course, one does not simply take this course easily. The 18-hole, par 68 course consists of tight fairways that includes forced dog-legs with big greens and lakes. Playing on this golf course requires the player to be precise on their strokes, from the first drive to the final putt. 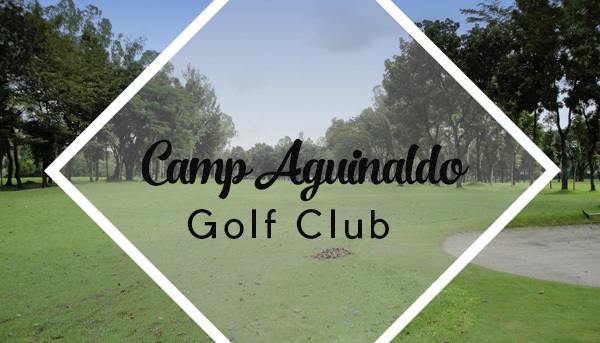 The Camp Aguinaldo Golf Club has many amenities that accommodate to the different players leisure, relaxation, and playing needs. These amenities includes, Two driving ranges and practice green, a restaurant, dining room, function room, bar, tee houses on the fairways, a barber shop, locker rooms for male and female, and a massage room. However the massage room is for men only. Accommodations are also accessible since hotels such as EDSA Shangri-la, Discovery Suites, Holiday Inn Galleria Manila, Marco Polo Ortigas Manila, Richmonde Hotel and The Linden Suites can be found along EDSA and other hotels are also accessible through the secondary roads along EDSA.